Time for a blast from the past! Take a journey into a nuclear power plant. Can you find all the secrets and enemies? The secret areas are well hidden. Doom fans will love this. Enjoy and let the mayhem begin. Copy the nuclearplant.bsp and file into your …\Steam\SteamApps\common\Half-Life 2\hl2\maps\ folder. Open the console and type map nuclearplant and now press ENTER. Yup, this one’s a goodie! 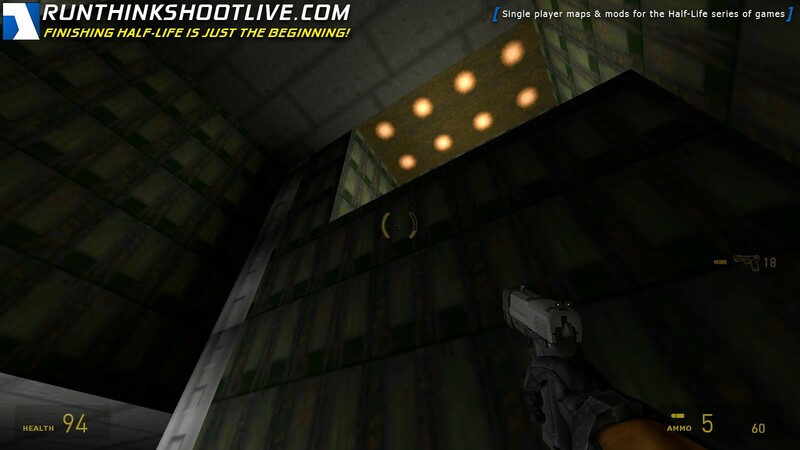 Plenty of variation and a litle puzzle solving, which makes a change from the uberviolence of most third-party maps. 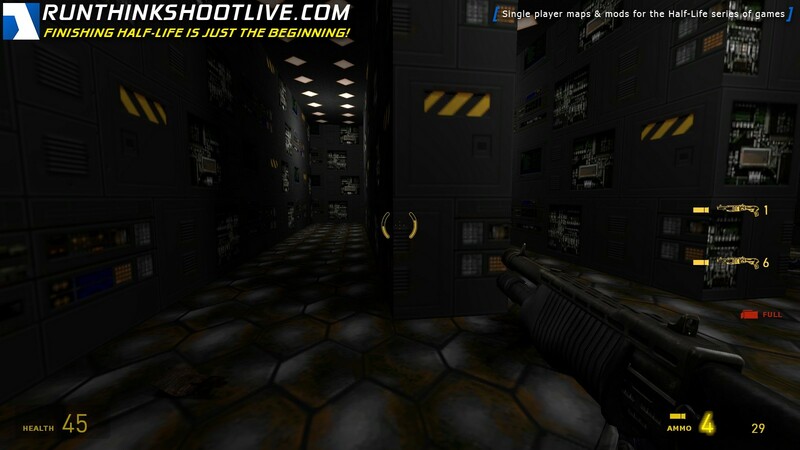 Does anybody know if macik is releasing more classic Doom maps for Half-Life2? I like these Doom conversions. Woohoo! Found another zombie hiding up on a ledge! In the surfaces of all those single player maps that are out there I came across something very intriguing. 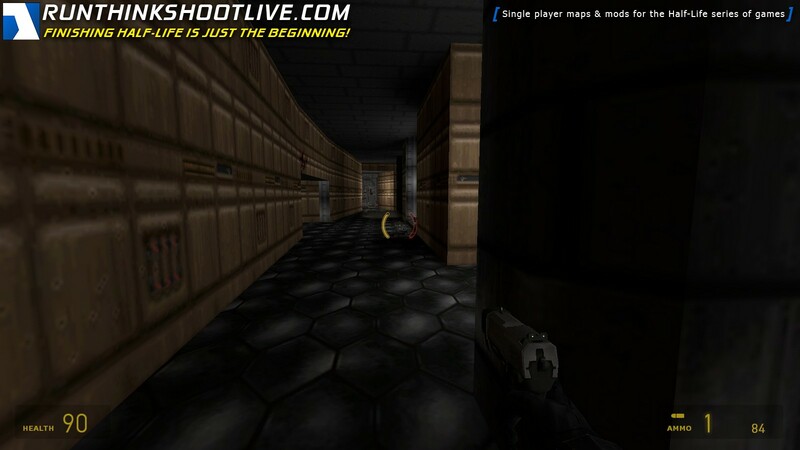 Nuclear Plant is a single player map, but it is that infamous map from the Doom game. 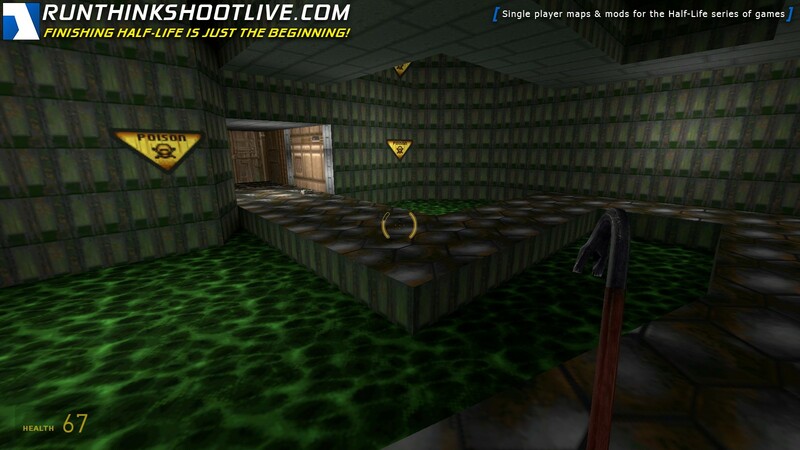 All of the map looks exactly like it did in game, except that you have the Half Life 2 enemies and weapons. Even most of the pick ups look like something out of doom. 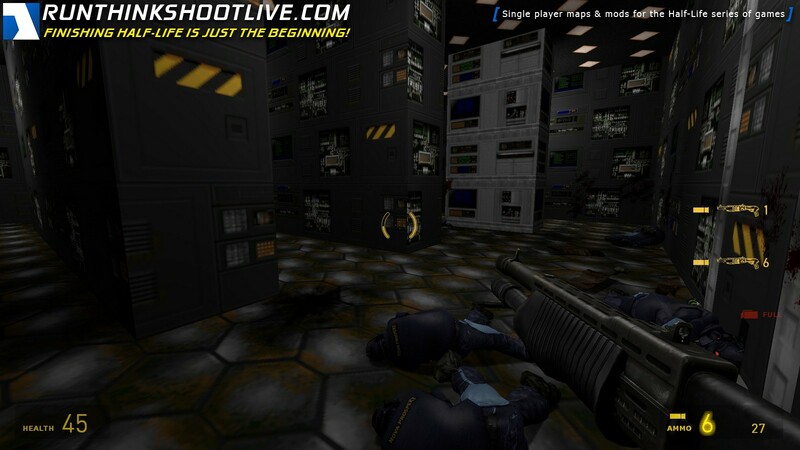 The map was awesome, but it was originally conceived by ID software, creator of awesome games including: Doom, Quake etc. This player has taken a break from the uber graphics of the Half Life 2 universe and then just stuck Doom 2 slap bang in the middle of the old school gaming convention. The player had got it to a good likeness and I recognized it as soon as the map started. A trip down memory lane, with a shot gun! Anywho, well worth a play if your looking for something to do for a bit. I haven’t played doom and that might have made it hard for me to recognize the secrets and I am sure plenty of touches were lost on me but what I can tell you is that it was fun to play. I got lost – a lot, but what’s new? The premise is simple: find the secret areas and kill all the enemies. When you do, you can exit the map. Actually, you can exit the map anytime you find the exit, which isn’t too hard. I am embarrassed to say I cheated to find the last outside area but I honestly don’t think I would have found it otherwise. This is highly recommended for 15 minutes of fun. Go play it now. I could still hear the Doom music playing in my head. Great conversion. I had lots of fun. Thanks Phillip for making an OLD MANs day!! Nice to see some of the old comments! This one makes me want to fire up my Windows 98se machine again. I still have my original “Doom” game! Seriously though, this map is very challenging. 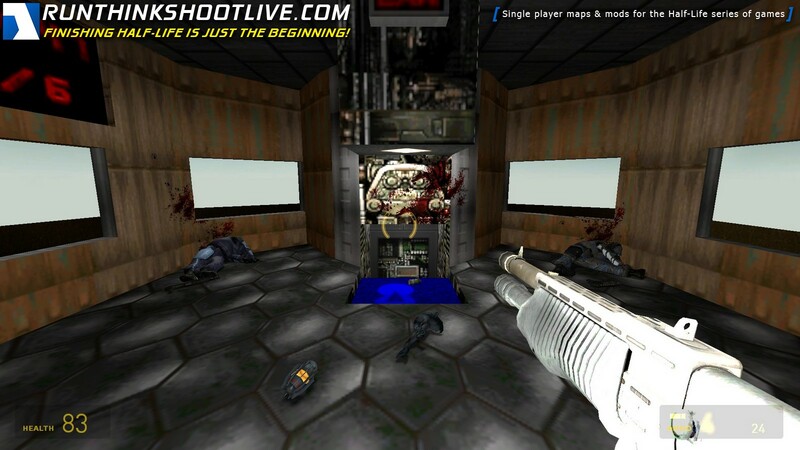 The gameplay really differs here since Gordon is not that much agile like Doomguy, but still cool conversion. You will die 2-3 times. But is it fair? I think so. 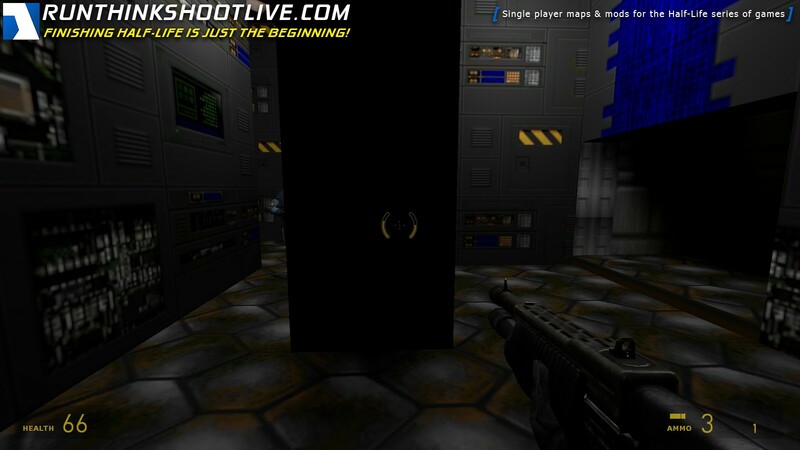 Yep, it’s Doom. But not as good and not nearly as fast. Doom is Doom because of the speed. Sure, it’s a nice homage and it’s a decent distraction down memory lane for a little while but this didn’t do anything for me. By the way this did not work with Gauge for me, console said map not found. For me, there’s not a lot to say here. I mean, OK, it’s Doom, but in Half-Life 2. And that’s it. 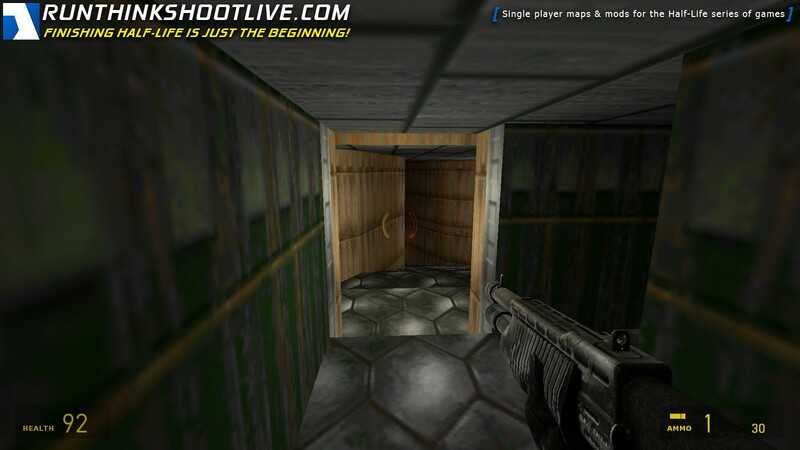 The map is pretty much a 1:1 remake of E1M2, but with Source engine physics and HL2 weapons and enemies. The secrets, the layout and the item placements are pretty much the same. I didn’t find all the secrets, but at least I killed 46/47 enemies. Should you play this map? Well, if you have 10-15 minutes to spare and you’re feeling nostalgic, then this is the map for you. I found this map quite claustrophobic and really cramped in all the rooms and hallways it has. I guess those archaic textures didn’t help at all, though they are not very different to those we found in HL1. Also, the combat against the CMB was pretty close. Maybe it didn’t be great for me, because I am also not getting used to any DOOM game, I’ve never played it in my life. And maybe this was a big tribute to that game but I never felt connected with it. I may play doom in some near future. If you have never played DOOM before, I highly recommend doing so, it’s really good. 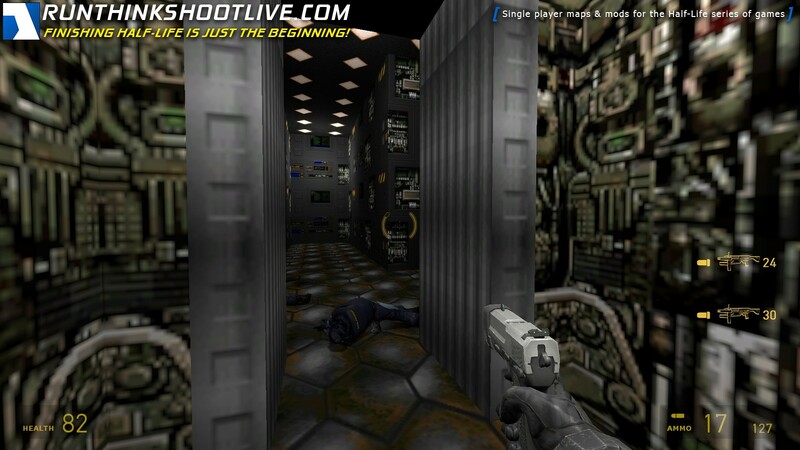 This is worth a play as it’s short and keeps pretty much the same format of e1m2 from doom, but it would’ve been many times better on the Brutal Half-Life goldsrc mod, Half-life2’s default guns are rather clunky and unsatisfying here with the exception of the shotgun. 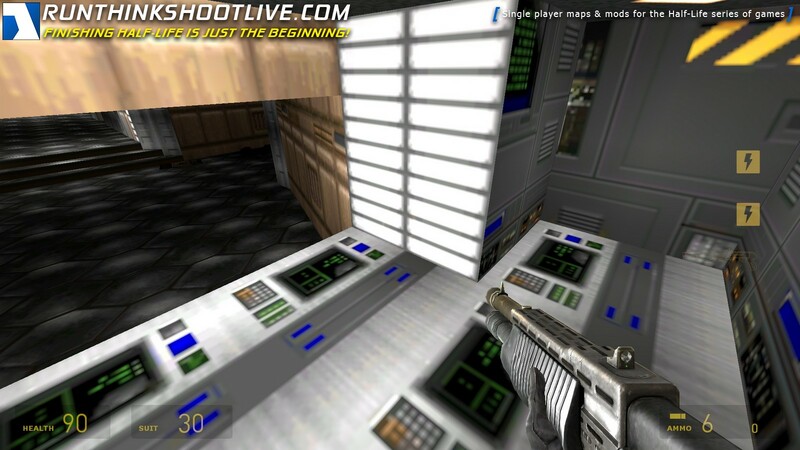 All it could improve on to be more authentic would be AI patrol waypointing, adding flickering lights in the secret areas and background music to set the tone. I’ve played many mods for many games which try to be something else. There’s always that feeling of disappointment though because often things don’t quite work as they should. Not here. 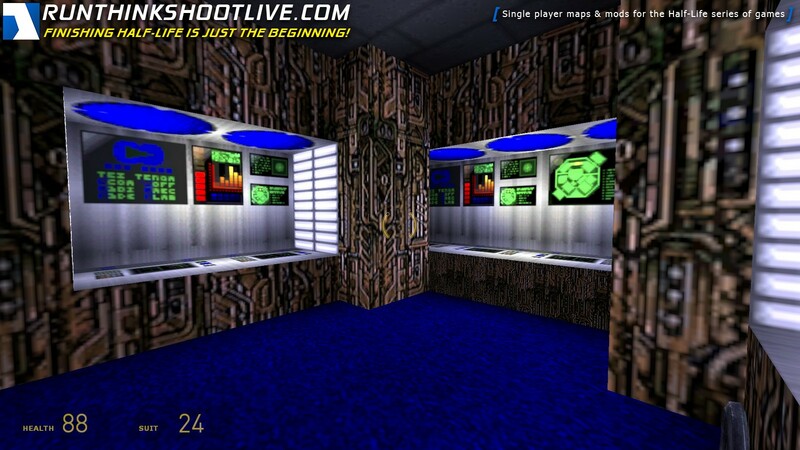 This is a truly fascinating map which recreates the old Doom level beautiful. 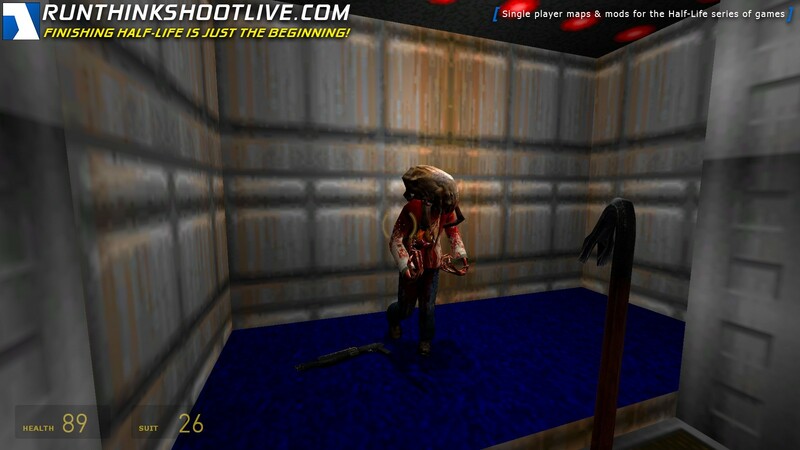 It’s almost like I’m playing the original but with HL2 monsters and weapons, it’s that convincing. 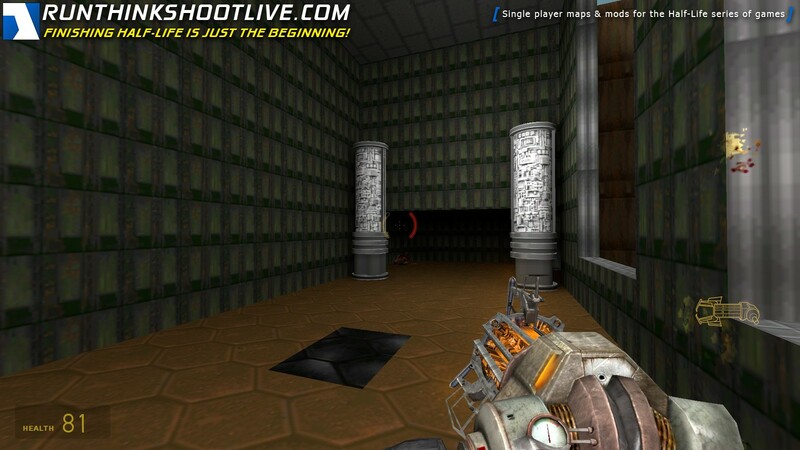 Nuclear Plant is a classic DOOM level but in Half-Life 2. What not to love? 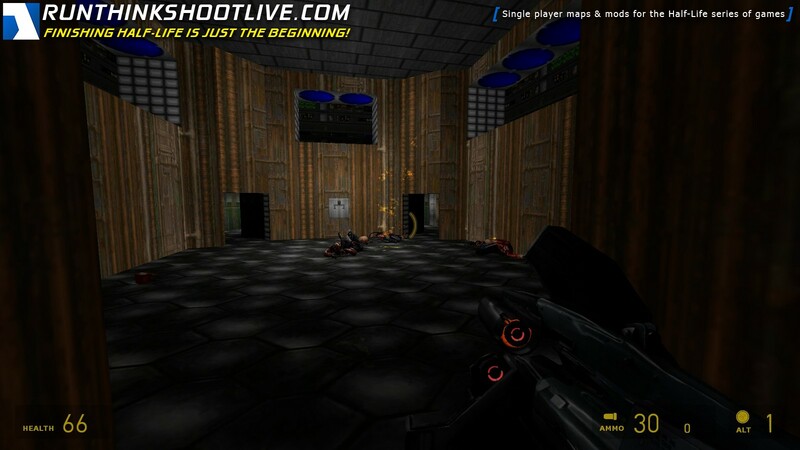 Combat feels good, not as good as when playing the map in DOOM of course, but it was still fun. Blowing up enemies with the explosive barrels was just as satisfying as in DOOM. I checked if all the secrets were there, and I believe most of them are. One big complaint though: Where is the music? Maybe something went wrong when I started up the map (if so tell me). Music is a very important aspect of DOOM. A lot of Half-Life’s tracks could fit quite well with the map. Apprehension And Evasion is a track I think would suit well, if the creator ever plans on updating the map.